Updating contacts via airdroid don't seem to work any longer! From the recent version 3.1.0 updating contacts in an android mobile via airdroid don't seem to work any longer. Maybe I do anything wrong, please correct me in such a case, else please fix the bug! I'm working with Linux. Re: Updating contacts via airdroid don't seem to work any longer! Do you mean you can't see the contacts on web.airdroid.com? Would you please try web.airdroid.com/2.0.9 to see if it works? Yes, I can't see the appended contacts at the android unit. I know it had worked in an earlier version of airdroid, I have used this facility many times, it has been much easier to add contacts via the computer. Can you see the contacts when using web.airdroid.com/2.0.9? Can you attach a sreenshot of the error message? Thanks! No, I can't even add contacts when using web.airdroid.com/2.0.9. It seems like this work, but the contact never come up in airdroid and not at the android phone. There has not been any error messages at all, it just don't work! Is it possible for you to use this function? Thanks for your concern. OK, with the earlier version, Airdroid 3.1.2, that now is relaunched, the update of contacts to the android unit works (again) from airdroid. The members of this forum should perhaps be informed about the bug in version 4.01 and 4.02, and the backward step to version 3.1.2, don't you think, Coffee? 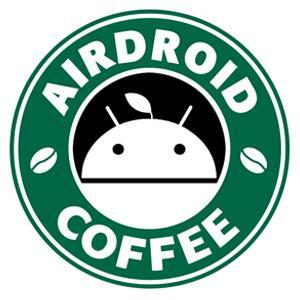 However, I'm looking forward to further improvements of airdroid. We don't see similar feedback on this and it works well on our side. Did you do anything else before re-installing AirDroid 3.1.2? No, nothing specially. But as usual it was an Ubuntu update, a very tiny one, this morning. It would be very surprising if this one interferes with the airdroid application. And by the way, why do you relaunch version 3.1.2 if the newer one was ok? An application like Airdroid should be platform independent, but is it? Is version 4.0 working at your side in this respect? And in such a case, has you tested in other environments than MS Windows and Explorer web-browser? We didn't relaunch v3.1.2. What do you mean by relaunch? You're asked to update to v3.1.2 again? There are errors in your released version 4.01, right? And we in the community - members and guests - should be done aware on this as soon as possible, so we do not lose time on fuss. Now I have 66 days to consider if I should remain a premium member. Since you do not answer my questions, I consider this matter of bugs in version 4.01 as closed – it's meaningless to go on.